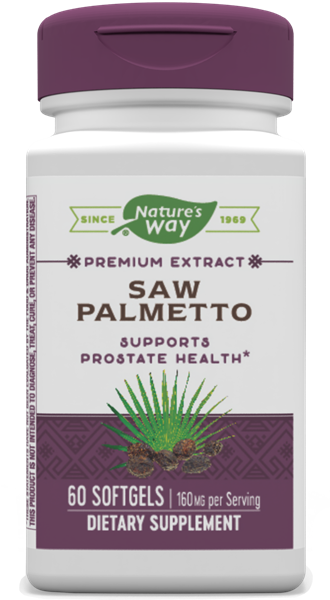 Saw Palmetto / 60 Softgels - Nature's Way®. Take 1 softgel twice daily, preferably with food. Best results obtained with continuous use. If taking any medications, consult a healthcare professional before use. Contains no sugar, salt, yeast, wheat, corn, soy, dairy products, artiﬁcial colors, ﬂavors or preservatives.